Newly relocated Graeme Dunlea shot a four under par 68 at the Beaverstown Pro-Am in Dublin yesterday. He finished in a tie for 3rd place behind joint winners Damien Mooney and Richard Kilpatrick. Dunlea had five birdies in his round with the only bogey coming on the 13th when he was 4 under. He recovered with a birdie two on the 17th to sign for a 68. 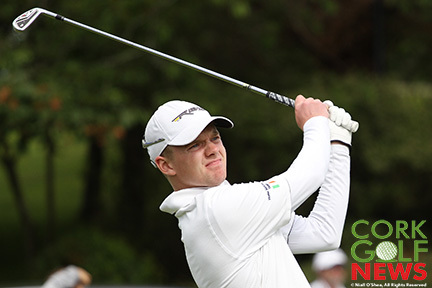 Paul McCarthy shot a final round 70 to move up the leaderboard to 4th place at the Irish Youths in Moyola Park. McCarthy from Mallow had five birdies and four bogies to finish his day on one under and +2 for the tournament. 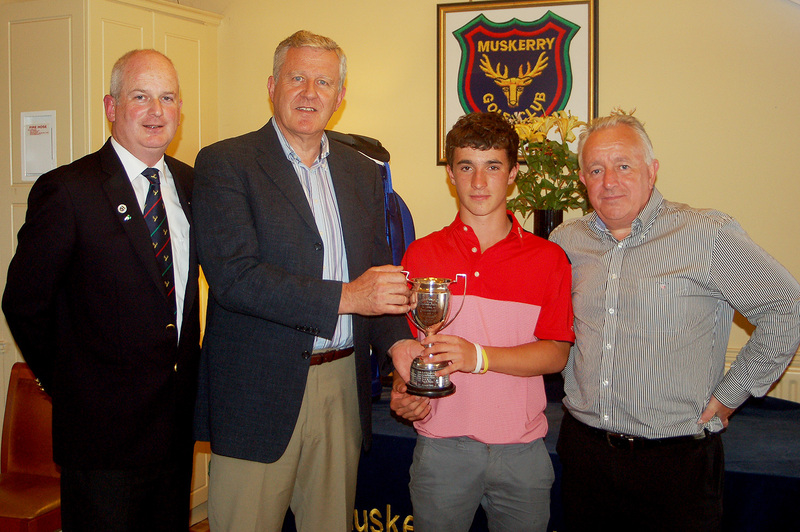 Sean Desmond (Monkstown) receiving the Bruen Youths Trophy from David Bruen, also included are David Taylor Captain Muskerry and Richard Cahill Sponsor. 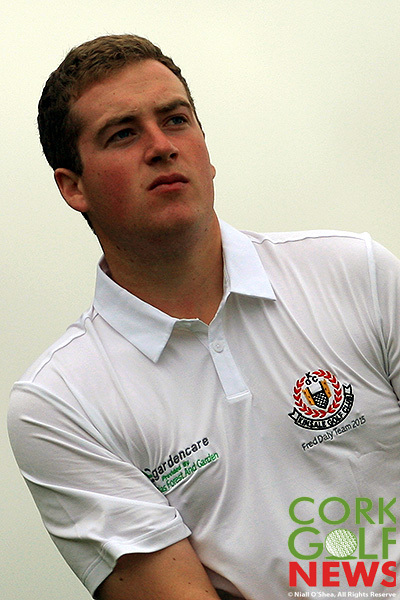 Kinsale’s John Murphy carded a second round 71 to move up to seventh place at the Irish Youths. After an early bogey, Murphy hammered in four birdies to go to three under. Unfortunately for Murphy he had three bogies in the closing holes to go back to level par for the day. Paul McCarthy (Mallow) added a two over par 73 to finish the 36 holes on +3 and tied for 13th place. Timmy Broderick (Kinsale) had a level par second round to lie one shot behind McCarthy in 15th place. Unfortunately for Gary Ward he carded a second round 79 to move him down the leaderbaord. All 117 golfers will play in the final round tomorrow with shotgun starts taking place at 8am and 1pm. Best wishes to Mallow who face Tandragee in the Fred Daly Trophy All-Ireland semi-final in the morning. Lee Valley Ladies followed yesterday’s Junior Foursomes win with another win today in the Intermediate Cup. 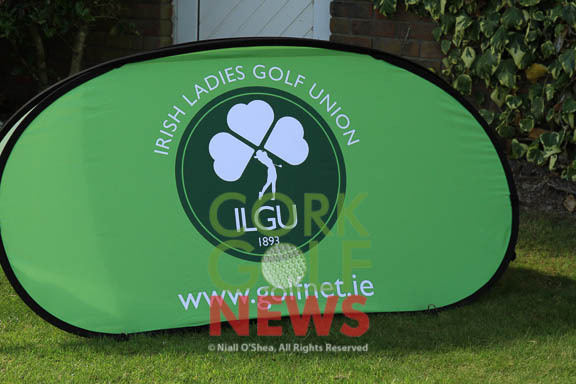 Vanessa Fitzgerald, Laura Guest and Siobhan McGrath were the three players to bring in the wins that assured the host club of their second Munster Pennant. East Cork were on losing side in the Intermediate Cup and they also lost out in the Junior Cup where Limerick took the honours. East Cork did get a win in the Challenge Cup when their team beat Douglas. 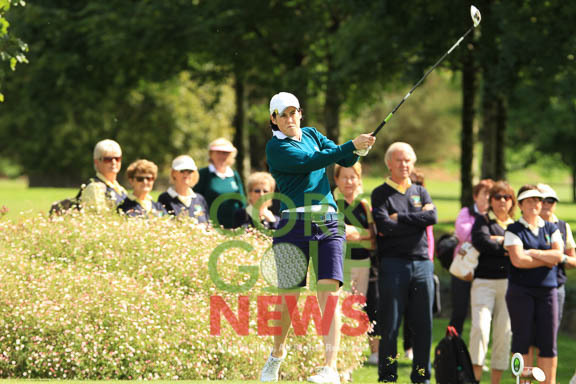 Rachel Sheehan, Nora Roche and Suzanne Hickey won their matches to secure the Pennant for East Cork. 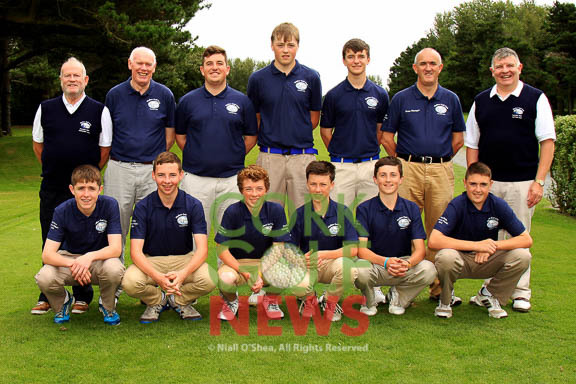 There was delight in Lee Valley this evening as the home side captured a Munster Pennant in the AIG Junior Foursomes Munster Final. A large crowd gathered in Lee Valley for the opening day of the ILGU Cups and Shields Munster Finals. The foursomes proved to be a double for Cork clubs as Mallow had a clean sweep over Castletroy to win the Senior Foursomes. Tomorrow will be another busy day in Lee Valley as there are four singles finals to be decided. Play gets underway in the morning at 10am.